Fruitless Pursuits: DC Reboot Rewrite! Let's Re-Write Green Lantern Corps #1! DC Reboot Rewrite! Let's Re-Write Green Lantern Corps #1! I'm enjoying the DC Reboot but that's not to say that some books couldn't use a helping hand. I fancy myself as a bit of a writer, so I figured, why not be constructive and help DC rewrite some of them! These books can be confusing for new readers, so I'm going to help them find out everything they need to know! 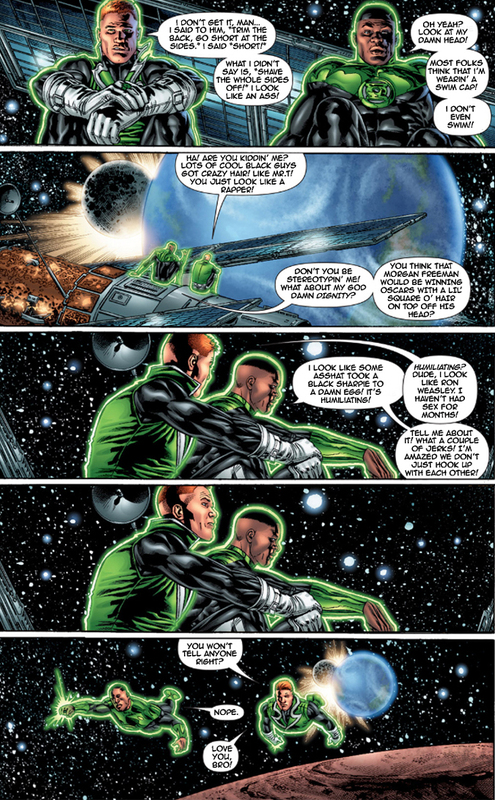 I rewrote this page of Green Lantern Corps #1. Read my new, original dialogue and tell me if it helps you understand what these characters are really about! I will! Before doing this, I rescripted 5 pages of Catwoman, but figured that would be stretching the friendship copyright wise.